I'm looking forward to this one. It sounds almost like a high-proof, 10yo Doorly's. Also excited to try one, even if finished rums are not typically in my wheel house. Was there any indication that at least some of it is coming to the US? Will be interesting to see what the price ends up being. 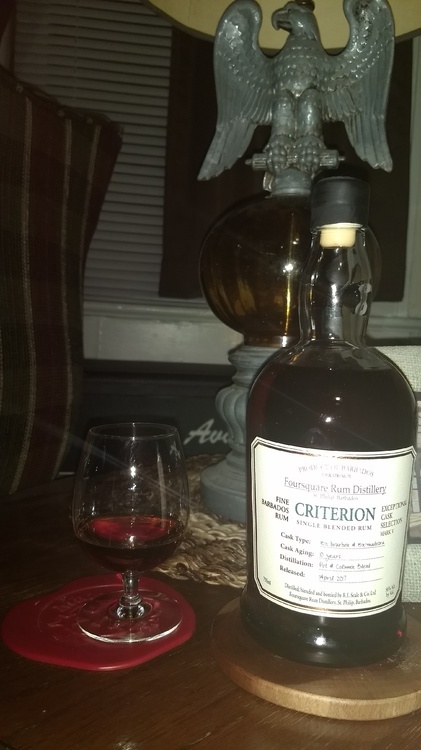 The 11yo single barrel was $60ish as I recall. I just noticed the back label says that they're only releasing 2,000 bottles. Not sure if that's in the US or worldwide, but either way it doesn't sound like much. I don't recall the prior Foursquare special editions saying how many bottles were released (at least not on the label). Nor do I but I don't know that I ever looked! Yep. I'll post back here when (or if) it shows up in my area. Criterion just hit K&L's "Coming Soon" list: https://www.klwines.com/p/i?i=1308376. It is currently listed at $69.99. Hard to say when it will arrive, probably sometime in the next week, but I'm getting excited! The Robb Report listed Criterion as one of the 7 best rums for Scotch drinkers. I don't usually read Robb Report, but Foursquare posted a screenshot of this on their Instagram. If you read the comment in the link I posted, not only does Fred Minnick compare Foursquare to Pappy Van Winkle, he also advises people to clear the shelves if they find it: "Should you ever come across Foursquare Criterion in a store, I advise you to buy every bottle you see". Does anyone else find this to be reckless? All valid points. For some reason I had him pegged as someone who wouldn't want to fuel shelf-clearing and flipping in rum, but I guess he's more concerned with his image and readership. Given his background in Bourbon he can't claim ignorance. Sorry, for some reason his comment really irks me. Still no sign of Criterion at K&L, and it has disappeared from the coming soon list for the time being. 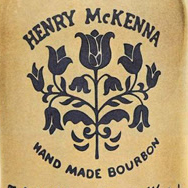 Yeah, it seems to me that Minnick has headed into overdrive to build his brand in multiple spirits. I'm sure a Armagnac Curious is in the works...Image and readership is a good way to put it. He may be the most deft in the whiskey blogosphere in building and marketing his brand and name. Hey, good for him. It's all business. A guys got to make a living, somehow. Mize well push it where ever one can. People want to hear Pappy, so he gives it to them, and he gets the clicks. Saying Pappy is Gold for things like that. A little Diageo-like marketeer he's becoming! I hope y'all longtime rum folks don't have your passion overrun with the hype that gets perpetrated with these types of careless articles. Thanks, Joe, it's nice to get your perspective. Glad I'm not the only one who feels this way. It'll be interesting to see how this Criterion release goes. As far as I know there will be 2000 bottles available in the US, and there seems to be more coverage and chatter than past releases. With sipping rum becoming more popular in general, this one could go quickly. It will at least provide a pretty good gauge of how willing people are to cough up ~$80 for a rum special release. While I myself am not a rum drinker, I appreciate what y'all have goin' on here. I will refrain from piling on Minnick too badly, though I want to. His writing, similar to his look, is a bit over the top. It bothers me is that Whisky Advocate let stalwarts like Lew Bryson go, and retained Minnick and others in an effort to appeal to a younger crowd. I don't drink a ton of rum, but I sure hope it remains an affordable good quality aged brown spirit. Well I just ordered a bottle from TWCP in MO, can't wait to try it. Nice work, let us know how it is. Not sure when it'll actually hit stores here. Unreal, they announced it in their last mailing list email, it was $76.99, I'm guessing it will be a bit cheaper in your area as the Bay area stores (Mission, K&L) tend to be cheaper on the other Four Square releases. Thanks for the info. I guess people are taking Fred Minnick at his word and buying every bottle they see (or don't see). Hopefully it will be cheaper here, but I'd settle for paying more if it meant I could secure a bottle. I feel like its a safe bet to be pretty great though I do wonder how much better it can be then 2004 which is still kicking around, I would imagine that if the hype is that high on this then the last bottles of 2004 might drift off the shelves soon after. Well it's here, it is certainly very good, I will reserve a true judgement call for a night I didn't have any Ardbeg prior in the evening.